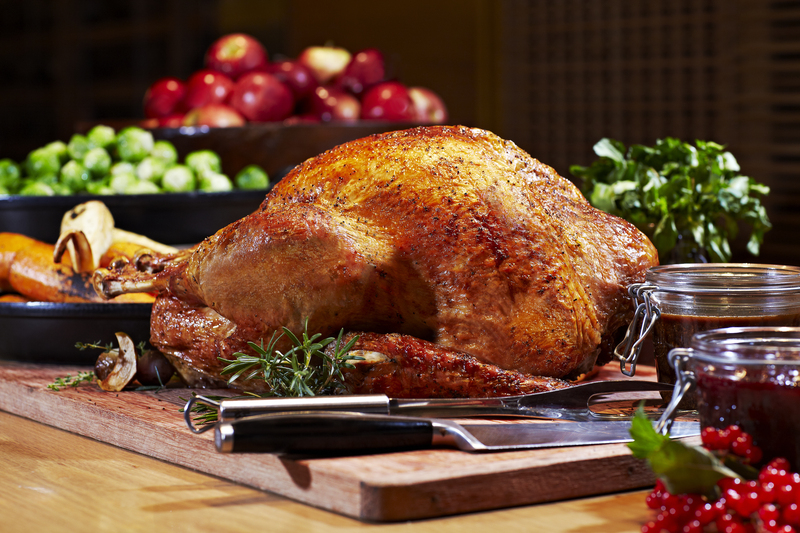 Get ready for a grand Christmas with Grand Hyatt Singapore! Planning a Christmas celebration for family and friends is serious business, especially when you have so many discerning palates to take care of! With Christmas Day drawing near, Grand Hyatt is here to save the occasion with five epicurean delights that will satisfy even the pickiest of eaters. Whether you delight in a meal for two or love indulge in an all-you-can-eat extravaganza, you’ll find it here at mezza9. This Christmas, mezza9’s decking their menu with seasonal ingredients to welcome the festivities, including Slow-Roasted Turkey Breast Roulade, Confit Duck Leg with Radicchio & Candied Orange, and “La Esmeralda” Chocolate & Ginger Crème Brûlée. Just the sound of this is making our mouths water! If you think that’s drool-worthy, wait till we go into their buffet offerings: known for combining 9 authentic dining experiences under one roof, mezza9 amps it up with their line-up dishes set to light up the halls themselves. From $188++, treat yourself to piles of Steamed Yesso Scallops with Ginger Paste, Slow-Roasted Butterball Turkey, fresh Rock Oysters, and more. Give this Christmas an Italian twist when you dine at one of the most authentic trattorias in town! Offering the freshest bounties of the sea, you won’t be able to resist delving into the seafood bar where piles of Marennes-Oléron oysters and Spencer Gulf king prawns await. Italian cuisine isn’t complete without a little cheese; at Pete’s Place, the Mozzarella Bar is where it’s at! Expect the Holy Trinity – pristine Buffalo Mozzarella Balls, Cherry Vine Tomatoes, and Basil – to grace the tables, together with crumbly Ricotta with Green Peas, Green Asparagus & Lemon, and the superb Burrata with Beetroot, Horseradish, Walnuts & Arugula. With an elaborate buffet going from $118++ per person, it’s an understatement to call this a steal! Find it at Basement Level, 10 Scotts Road, Grand Hyatt Singapore, Singapore 228211. Book a table at Pete’s Place and earn 2X Chope-Dollars with code TASTYBLOG. Move the turkey and cranberry sauce aside because it’s local flavours all the way here at StraitsKitchen! Tuck into Singapore classics such as wok-fried crab with spices, or help yourself to a sinful plate of Hyderabadi Dhum Biryani (Lamb Shank in Long Grained Basmati Rice). Whatever your palate fancies, there’s enough to entice and excite this yuletide season! Plus, StraitsKitchen is Halal-certified as well, making it the best spot to gather with your Muslim friends too. All this from $68++? Oh YES. A breathtaking view of beautiful cascading waterfalls, it’s time to kick back, relax, and enjoy this holiday season over a feast of delectable cuisines offered at 10 SCOTTS. Offering a selection of sustainable eats from $68++, you know you’re going to be well taken care of. Opt for their Red Wine & Mushroom Risotto, where lusciously thick Italian rice is flavoured with earthy mushrooms and robust red wine. Their Smoked Tasmanian King Salmon is something you must not miss either, especially with the side of Blinis & Avruga Caviar. End the meal on a sweet note, with over 9 different desserts featuring baked stuffed apple, steamed plum pudding, Christmas cookies, and more! Hoping for a little peace and quiet this Christmas season? Oasis Restaurant may just have what you’re looking for. Picture an afternoon just lounging by an idyllic poolside and indulging in gorgeous roasts – now THAT’S a Christmas we can definitely get with! Fans of the grill are guaranteed to enjoy the seasonal menu here, with highlights such as Roasted Turkey with Chestnut Stuffing and Gravy, an array of perfectly wood-fired barbecues including Charolaise Rump Cap with a BBQ Spice Rub, Grain-Fed Lamb Tomahawk, and more. With prices starting at $108++ per person for top-notch grills, you can hardly get anything better in town. Lest we forget, Christmas is also a season of giving where we shower our loved ones with (yummy) gifts! From now to 3 January 2018, pop by Santa’s Shop at mezza9 and take your pick from an extensive selection of seasonal homemade, gourmet treats. If you can’t choose between a red velvet cake or La Rose Noir assorted macaroons, why not have both? You can also customise your own festive hampers and gift boxes to give your gifts a little personal touch as well.